The first time that we visited Hong Kong was on our honeymoon in 2009. Since that time, we’ve come back to Hong Kong several times. 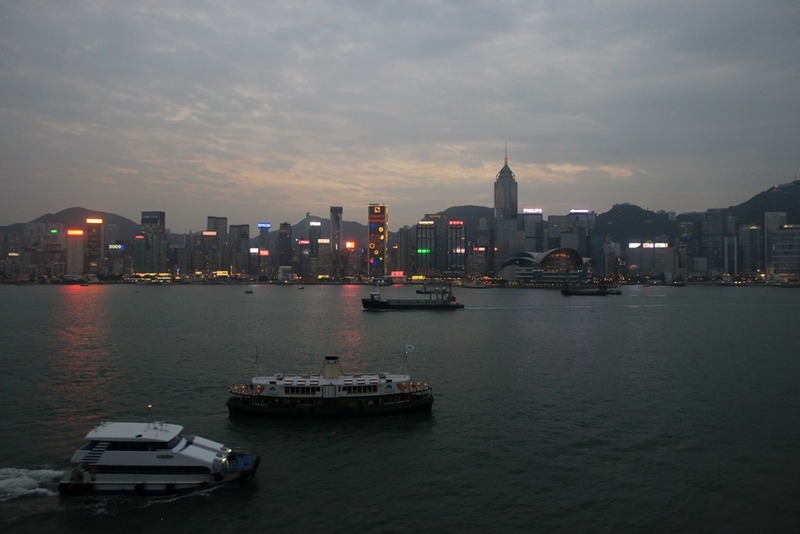 Although Mr. Selfish is more enamored with Hong Kong than I am, I still enjoy it. I like the food, the sights, and the shopping. One of our highest priorities whenever we visit Hong Kong is to eat as much dim sum as possible. During our Selfish Year, we made it our goal to find the best dim sum in Hong Kong. We ate as much dim sum as we could stomach during our short stay and discovered that Tim Ho Wan was the best. 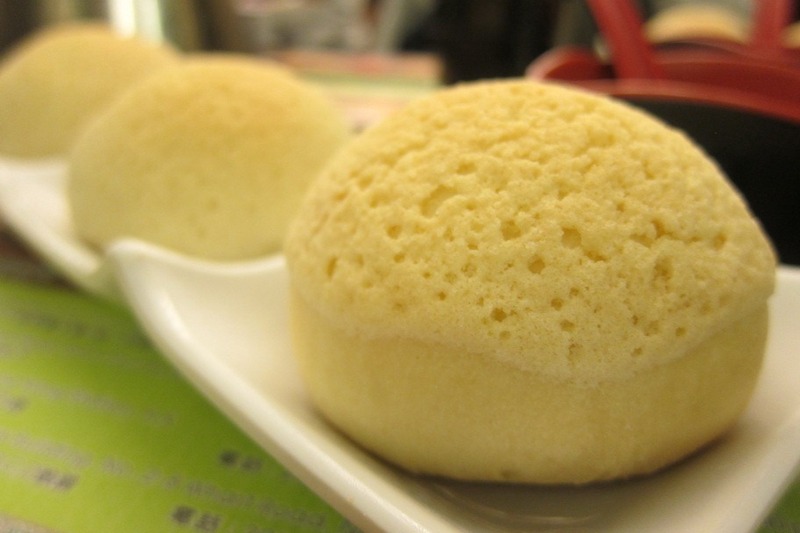 To this day, these baked pork buns are Mr. Selfish’s favorite dim sum item. Nevertheless, we have ventured out and enjoyed dim sum at other restaurants as well. 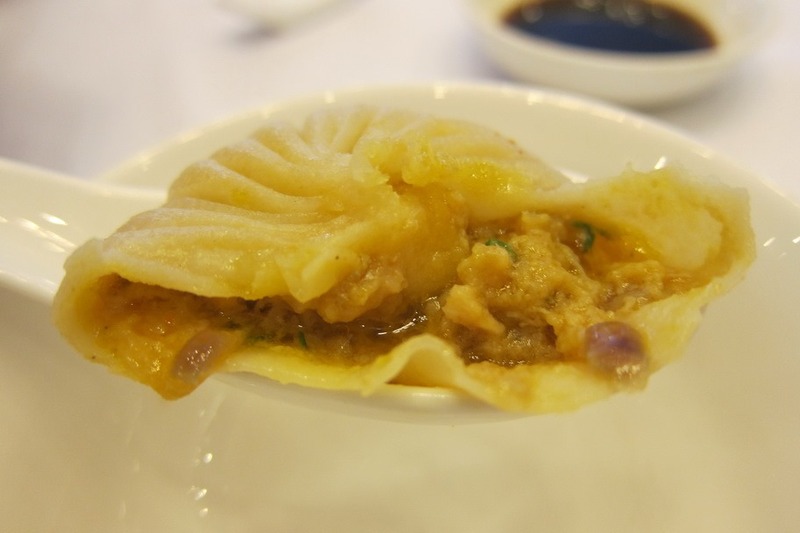 For instance, the hairy crab soup dumplings at Fu Sing Shark Fin Seafood Restaurant are quite divine. The Hack Chiu Au Chay Gunk (dumplings stuffed with pork, greens, and boiled peanuts) at One Dim Sum are also worth trying. The other upside of One Dim Sum is that it is relatively close to Tim Ho Wan, so you can start at one and finish at the other. If you are starting to get sick of dim sum and want to have swanky afternoon tea, I highly recommend the Ritz Carlton. Not only is the food beautiful and tasty but the view and ambiance are great. As for shopping, one of Mr. Selfish’s favorite mall is Langham Place in Mong Kok. We always manage to find affordable and different styles in the mall. We even braved the Umbrella Protests in Mong Kok to visit Langham Place during our last stop in Hong Kong. 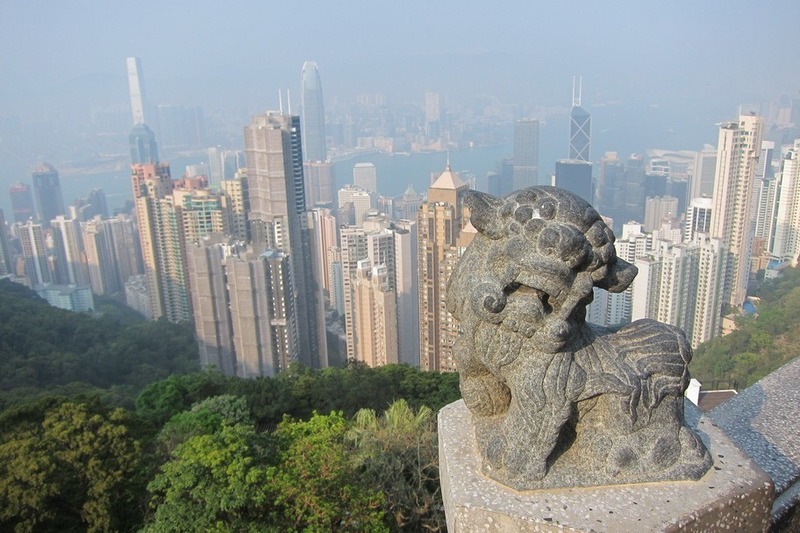 As for sights, you must visit Victoria’s Peak for a lovely hike and panoramic views of the city. 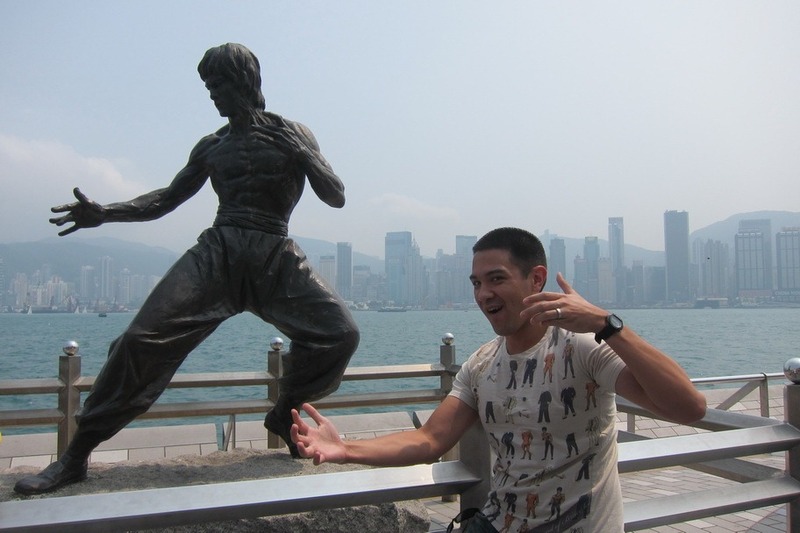 The Avenue of the Stars is fun for photo ops, especially if you are a Bruce Lee fan. 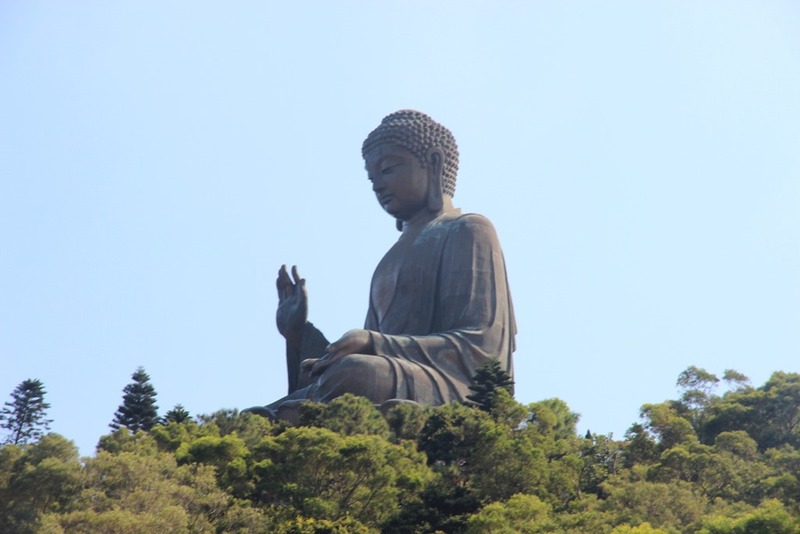 Near the airport is the Tian Tan Buddha, which is on Lantau Island. Although it is kinda out of the way, it is completely worthwhile. You can take a cable car to the island and then enjoy the Buddha in all of its Disney-fied glory. Finally, we took two days trips while in Hong Kong. I highly recommend taking a day trip to Hong Kong Disney. 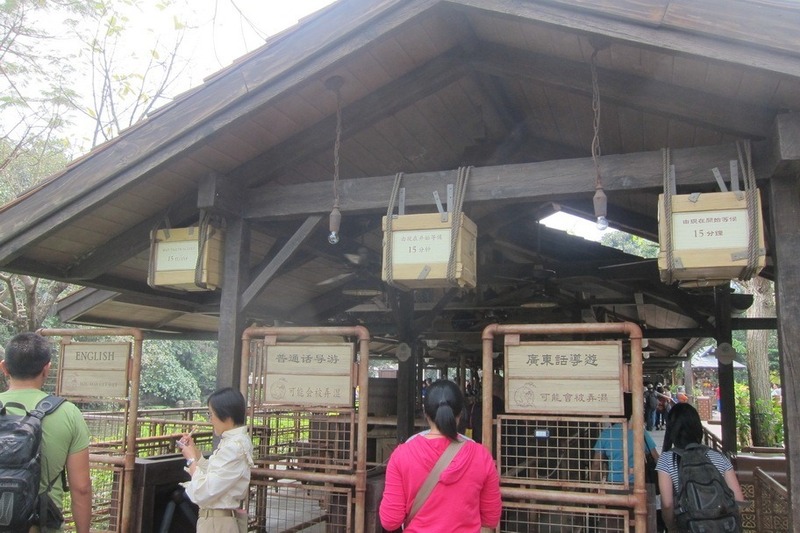 I particularly loved that you could choose which language your operator spoke on the Jungle Cruise. There’s nothing like hearing those corny jokes in a Chinese accent. 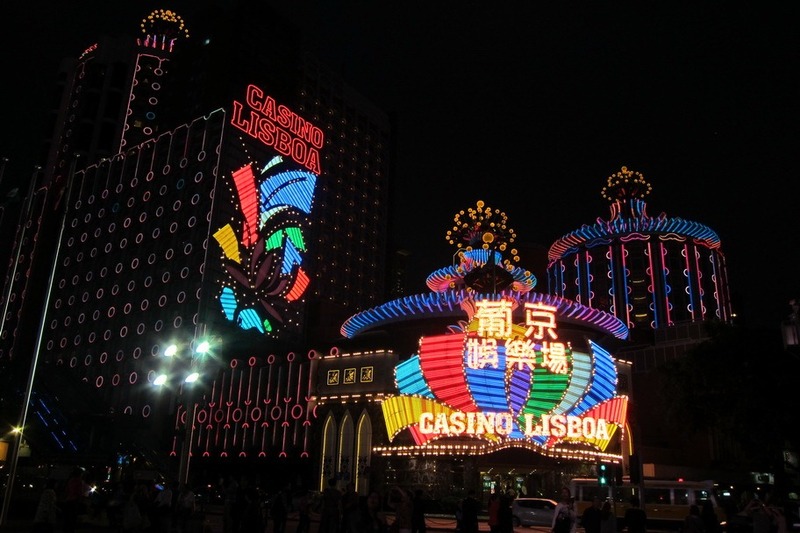 In addition, we also took a day trip to Macau. We didn’t enjoy it that much because we’re not really gambling people and we didn’t find any particularly interesting food or sights. As for accommodations, we’ve stayed at the J.W. Marriott, as well as the Intercontinental. While Mr. Selfish gives the nod to the J.W. in terms of point redemption, I enjoyed the view at the Intercontinental a bit more. We hope you enjoy Hong Kong as much as we do. What recommendations do you have?